An industrial engineering student-athlete is now Iowa State softball’s all-time career leader in saves. 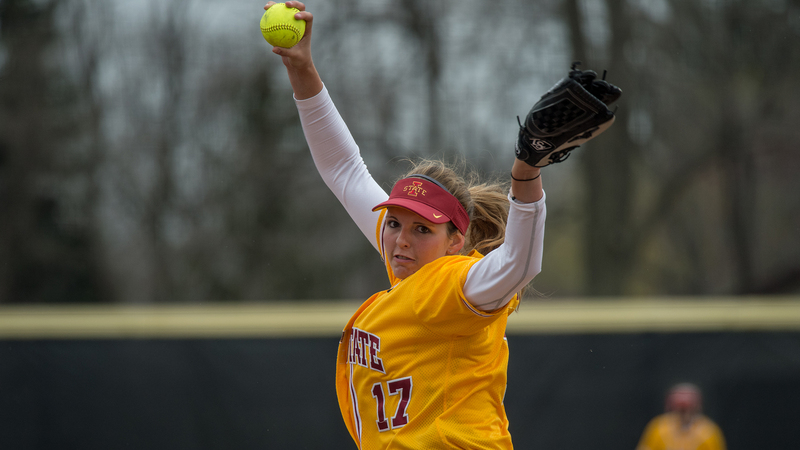 Emma Hylen, a senior pitcher, became Iowa State softball’s all-time career save leader after helping the team to nab a 7-5 win over Harvard University last weekend. This marked Hylen’s eighth career save and her second of the season. The Cyclones held a 6-2 lead heading into the bottom of the sixth inning, but a three-run rally by the Harvard Crimson brought the game within one heading into the final inning. Hylen pitched the 7th inning and held her opponents hitless and scoreless, allowing her team to escape with the win. Hylen is the second IE student-athlete in recent months to grab a school record as Roshon Roomes, a junior on the track team, set a school and NCAA record for the indoor 600-yard run last month. Hylen also had a strong showing in Iowa State’s game against Boston University over the weekend, holding her opponents scoreless and allowing just one hit. She also recorded four strikeouts. The Cyclones went 3-2 on the weekend at the Easton Invitational and moves to 17-10 on the season. The team now prepares for Big 12 play, as they travel to Austin this weekend for a three-game series against the University of Texas.